This mini hidden camera kit contains a WiFi IP HDTV Hidden Camera with a pinhole lens plus a HDTV DVR digital video recorder built-in. 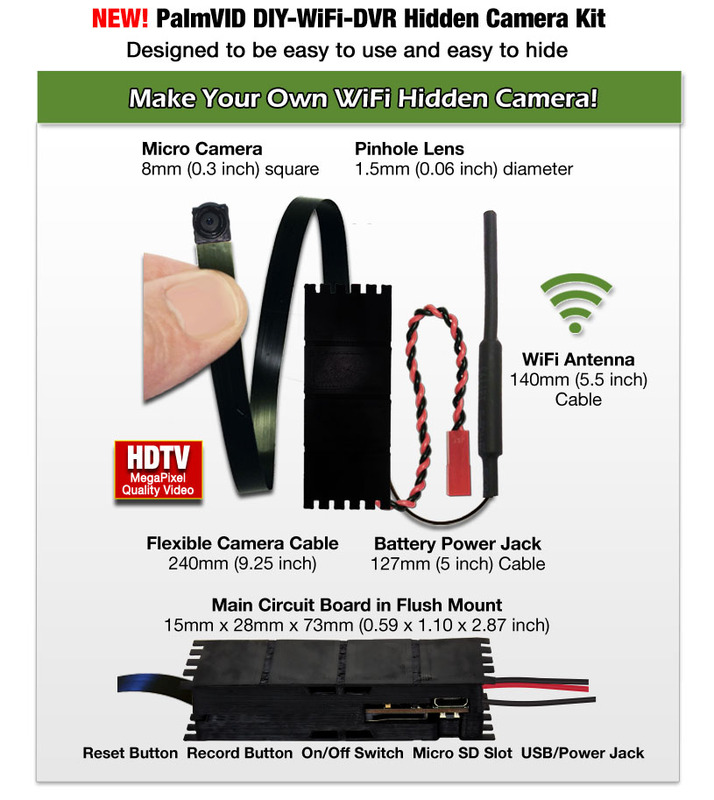 It includes everything you need to make your own WiFi hidden camera with full remote video accessibility. 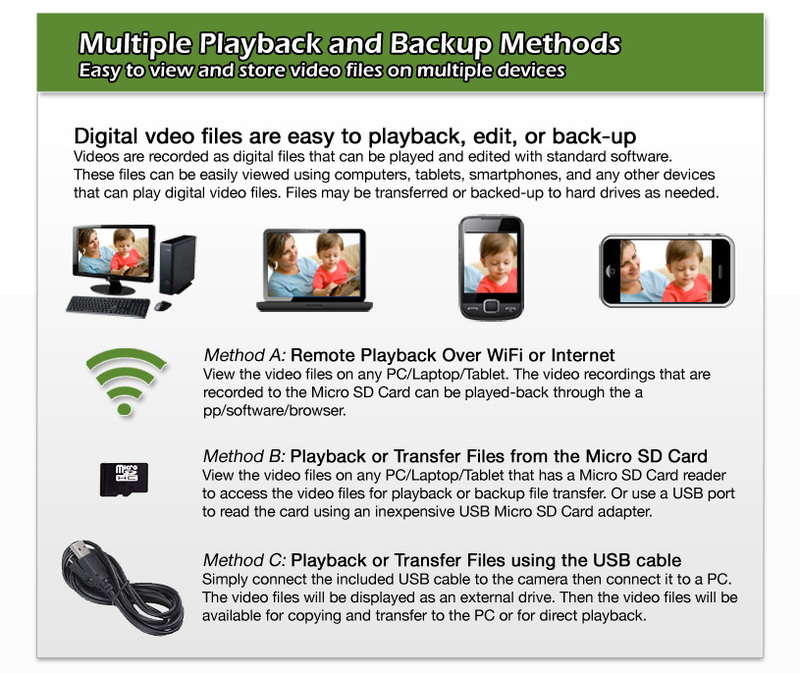 View, Playback, and Recording from anywhere in the world over the internet using any windows PC, laptop PC, iPhones, iPads, Android Smartphones and Android Tablets plus Live Remote View and Playback available on Mac PC's and Laptops. The pinhole lens camera only needs a tiny hole to see through so this tiny camera can be hidden even further by hiding it behind an object or inside an object or a box with just a pinhole or slot or other opening for the 1/16 inch pinhole lens. This DIY kit includes an extra-long camera cable to make installation very easy. 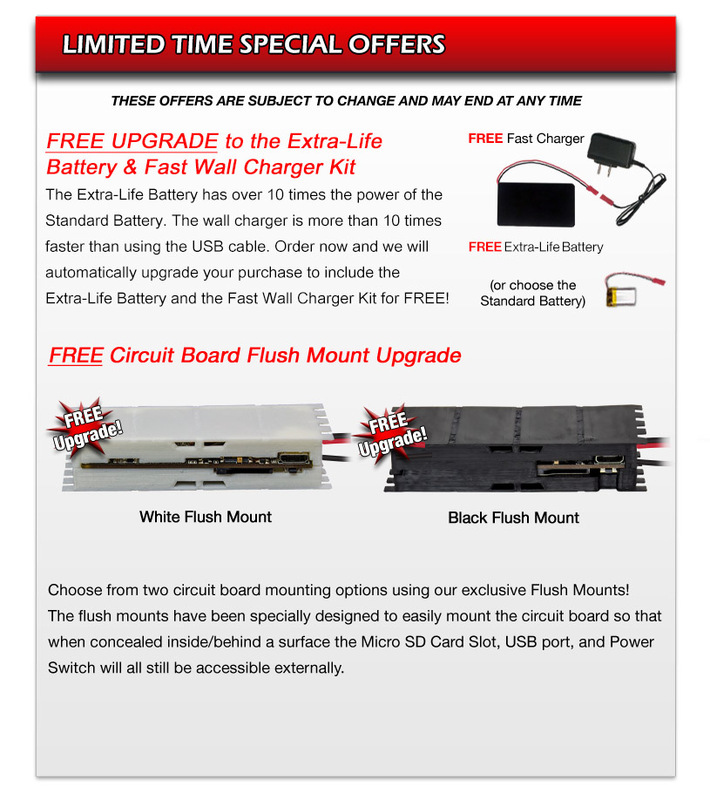 This kit also includes your choice of circuit board mounts. There are many ways to configure this kit to work for many applications. View the other images to see some of the options. 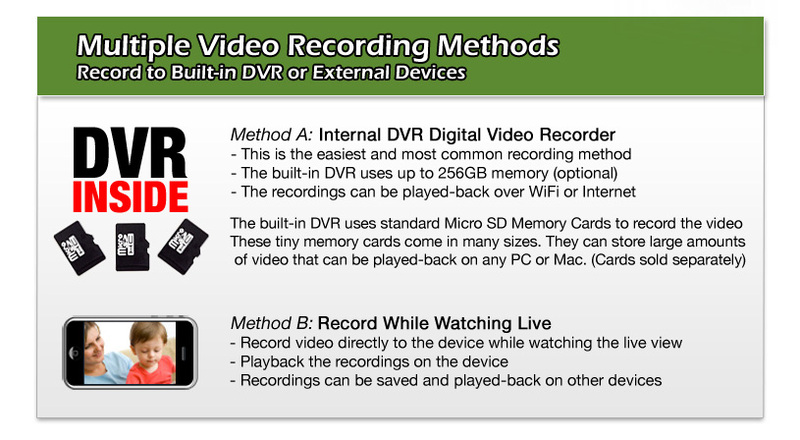 MANY PRE-MADE HIDDEN CAMERA MODELS WITH THIS KIT PRE-INSTALLED ARE AVAILABLE TOO!